Most people do not know that the human ear can only accept a maximum of 75 decibels of noise. When we are exposed to excessively loud environments (85 dB or more), hearing protection devices are recommended to prevent noise induced hearing loss. Workers operating chainsaws, drilling machines, and grinders are the usual casualties of hearing loss. This happen when they do not wear protective ear muffs even if only for 5 or 10 minutes while operating loud machinery/devices. Its no secret that our worlds are getting louder and that hearing loss is sadly on a dramatic increase. The great news is that noise induced hearing loss is preventable! Who should wear hearing protection? Anyone who is near any form of loud noise should be protecting their ears! No, ifs buts or maybes… If the noise or sound level exceeds 85 decibels hearing protection is required. Ear Muffs reduce the noise exposure level and the risk of hearing loss. 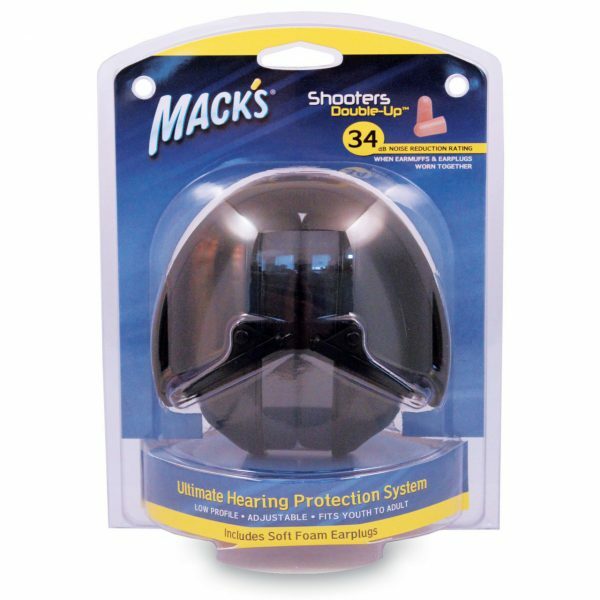 When this awesome Macks duo of earmuffs and earplugs are worn together they will provide a 34dB Noise Reduction Rating! That is pretty much the highest protection you can get for your ears. 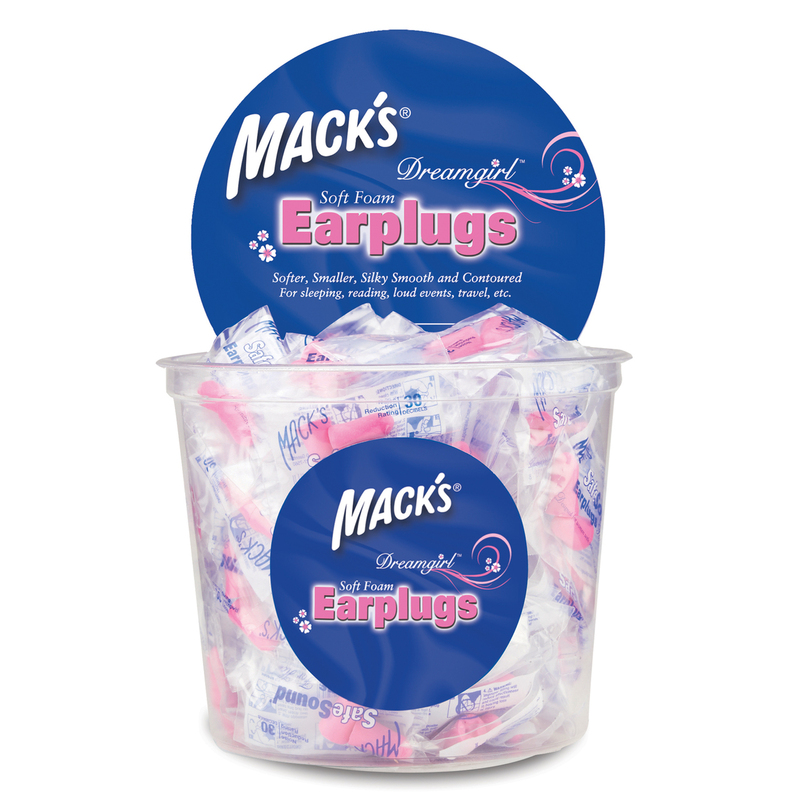 The Earmuffs will provide 21dB alone & the high noise reduction rated Earplugs will offer 32dB alone. Even short but daily or frequent exposure to loud noises generated by these tools can destroy hearing in time. Noise induced hearing loss is one hazard encountered in the workplace. 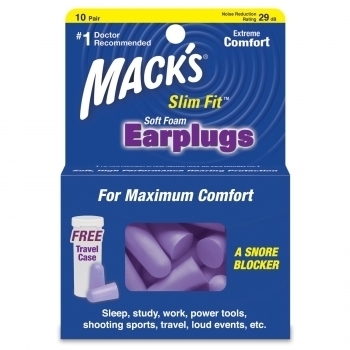 Hearing protection should be worn whenever power tools, lawn mowers, leaf blowers, firearms, fireworks etc are around. In the workplace, Occupational Health & Safety requires the use of hearing protection devices whenever a person is exposed to an average noise intensity of 85 dBA over an 8 hour shift. 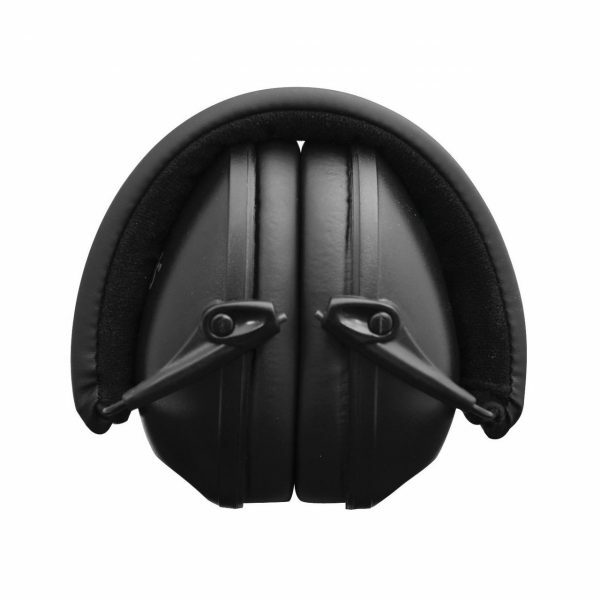 Most earmuffs can be expected to provide adequate attenuation for noise levels up to 103 dB. At levels beyond this intensity, it becomes necessary for to wear earplugs with earmuffs on top in order to achieve adequate protection from hearing damage. The simultaneous use of two forms of hearing protections is known as dual hearing protection. The Mine Safety and Health Administration (MSHA) regulations stipulate that workers must use dual hearing protection when average 8-hour exposures are 105 dBA or greater. Dual protection is also recommended when shooting firearms because of the extremely high-level impulses (140 dB and greater) produced. How does the NRR of Dual Protection work? The amount of noise reduction from dual hearing protection is NOT a sum of the noise reductions ratings (NRR) from the two devices. For example, if wearing an earplug with a NRR of 25 dB and an earmuff with an NRR of 20 dB, the combined protection would not be 45 dB. Instead, 5 dB should be added to the higher of the two NRRs. In the preceding example, the combined earmuff and earplug NRR would be estimated at 30 dB (25 dB plus 5). I wear these around the yard, mowing, leaf blowing, drilling etc. They even block out the kids!